There are many food holidays in the United States celebrating some certain food, dish or beverage. There is also Food Day, that is nothing like to the food holidays. This observance was initiated in 1975 by the Center for Science in the Public Interests to draw public attention to the problems of food in the USA. It's annually observed on October 24. There are many food and food-surrounding issues at the local, state and national level: obesity, diet, health problems, hunger, sustainable agriculture, farm animal welfare, nutrition education, food service workers rights. Observance of Food Day raises public awareness of these and many other problems of food. Every year the event is run under a certain theme, helping highlight specific problem and find possible ways out of it. Thousands of events are scattered across the USA, and prominent food activists take part in them. This helps shape the right vision of food as a healthy, affordable and produced with care for the environment product. 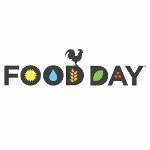 Every citizen is encouraged to participate celebration of Food Day by joining local events, sharing information about this day with relatives and friends or hosting personal appropriate event.